As someone who loves cooking with coconut, I am excited to share with you my favorite ways to use coconut in your everyday eating. Coconut is one of those truly unique flavors that can find its way into both sweet and savory dishes. 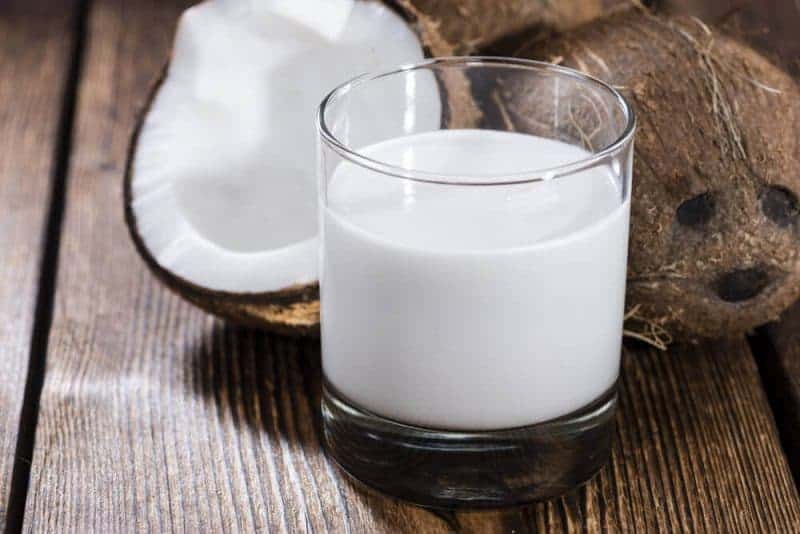 Plus, you’ll find coconut and coconut derived ingredients in a variety of forms, including coconut oil, coconut milk, coconut cream, coconut flour, coconut sugar, and coconut flakes—meaning there are all sorts of ways you can add coconut to the food you eat. Let's take a look at some of the very many ways to incorporate coconut into your everyday menu. I recommend using only virgin, unrefined coconut oil. It’s healthier and has that distinctive coconut aroma. Substitute it for another oil when baking. You can use the same amount of coconut oil as vegetable oil in a recipe. Just keep in mind that you may need to slightly heat your coconut oil first to get it to a liquid consistency. Toss it with vegetables for roasting. I find that this makes for a tasty alternative to vegetable oil or olive when roasting sweet potatoes, broccoli, bell peppers, zucchini, etc. Melt it and pour over popcorn. Make a fresh batch of air popped popcorn, pour a little melted coconut oil over top, and sprinkle sea salt to finish. By “coconut milk” here I’m referring to the soymilk-like drink you’ll find in cartons in the milk section of the grocery store. Add it to a fruit smoothie. My perfect smoothie ratio: 1 cup fresh fruit + 1 cup coconut milk + 1 banana. You can even turn the smoothie into delicious healthy popsicles, as explained in this article. Use it to make hot chocolate. The coconut adds a subtle coconut flavor to your hot chocolate. You can add it to the hot chocolate packets or use it to make homemade hot chocolate. Substitute it for milk when baking. Substitute coconut milk for regular milk in cake recipes to cut down on dairy. I’ve never had a problem with it. By “coconut milk” here I’m referring to the thicker coconut milk you’ll find in a can in the ethnic foods section of the grocery store. Typically it’s separated in the can when you open it, with the thick coconut cream on top and the watery coconut milk underneath. Make coconut curry. Coconut milk is a key ingredient when making coconut curry, and you generally just need a few more ingredients to make a delicious curry sauce. Use it to make soup. Similarly, coconut milk makes for a deliciously creamy soup. There are all sorts of coconut milk based soups online for you to try! Use it to make ice cream. Canned coconut milk makes for a delicious dairy substitute in ice cream, and it tastes magical when sweetened and combined with other fruits like strawberries. Canned coconut cream is much thicker and richer than canned coconut milk. Make whipped (coconut) cream. Simply chill a can of coconut milk, scoop out the fat that solidifies (leaving the liquid behind), and then whip it just like you would with whipping cream. Make chocolate mousse. You can make an easy mouse with simply coconut cream, chocolate, cocoa powder, honey, and vanilla. This is simply dried, ground up coconut meat. Look for a coconut flour that is cream colored rather than pure white. Substitute it for some of your flour when baking. Coconut flour can be a great option for those who want to keep things gluten-free. Keep in mind that coconut flour doesn’t do many of the things that regular flour does. It is very dry and doesn’t stick together well. Therefore, you generally want to add an extra egg to your recipe when using coconut flour, and use about ⅓ cup of coconut flour for every 1 cup of flour you’re replacing. When in doubt, go with an established recipe that uses coconut flour. This stuff is technically made from the sap of the flowers of coconut palm trees. It’s golden brown in color and is subtly sweet, with a flavor almost like brown sugar. Substitute it for sugar when baking. You can generally substitute it for white or brown sugar. 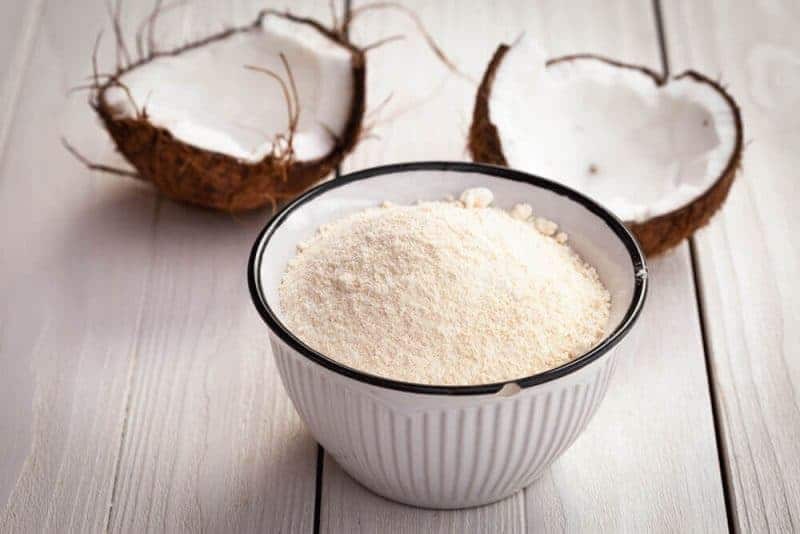 It is coarser than white and brown sugar though, so you may want to let the coconut sugar dissolve in another liquid ingredient in the recipe before adding. Stir it into tea or coffee. Use it just like you would regular sugar here! Sprinkle it on pancakes or waffles. It’s a great natural alternative to that oh-so-expensive pure maple syrup. You’ll find both sweetened and unsweetened varieties at the grocery store. Both taste great, so you might simply develop a preference here. Add it to your oatmeal. I love making homemade oatmeal and adding honey, flaxseed, chia seeds, dark chocolate chips, and coconut flakes. Garnish cupcakes. 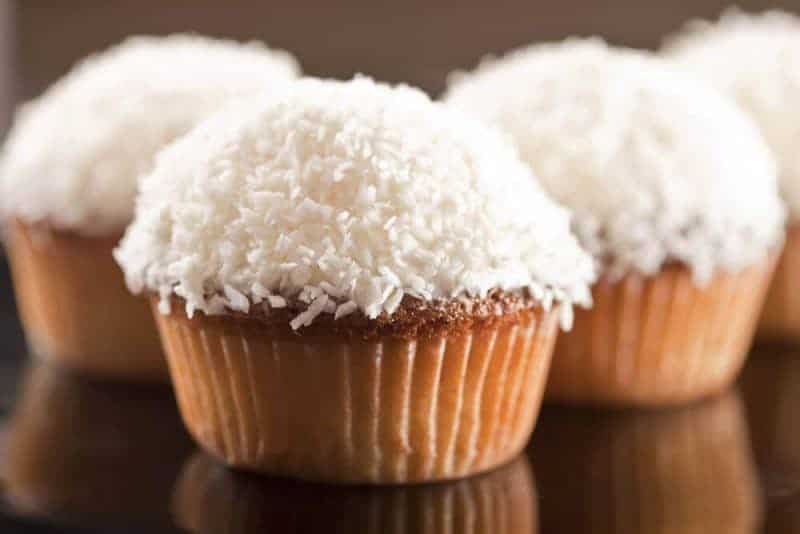 Pour your coconut flakes into a bowl, frost your cupcake generously, and then dip the frosted cupcake into the coconut. It makes for a beautiful and delightfully coconutty cupcake! Make coconut chicken. Try coating your chicken breast with coconut flakes for a new twist on baked chicken. There you have it! I hope that you enjoyed this list and have fun cooking with coconut! I do love coconut especially when toasted. These are all great ways to use it love the cupcakes. My favorite way is when I bake smores in the toaster oven (all the time), I add coconut to that so it toasts up. Sooo good. I really like the idea of adding it to oatmeal. Im going to have to try this. I have both coconut cream and coconut milk that I need to use. I love the idea of cocnut milk in soup and am going to look for some recipes. Thanks for the ideas.